At a distance of 170 km from Chennai, 204 km from Trichy, 233 km from Tirupati, 335 km from Madurai, 639 km from Trivandrum, 578 km from Kanyakumari, 96 km from Mahabalipuram, 368 km from Bangalore and 564 km from Kochi, Pondicherry or Puducherry is a city and capital of the Union Territory of Pondicherry and is one of the most popular tourist destinations in South India. It is among top 2 day trip from Bangalore and Chennai. 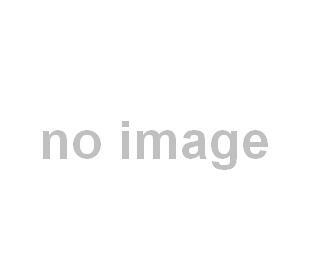 Pondicherry is located along the Coromandel Coast of Bay of Bengal. 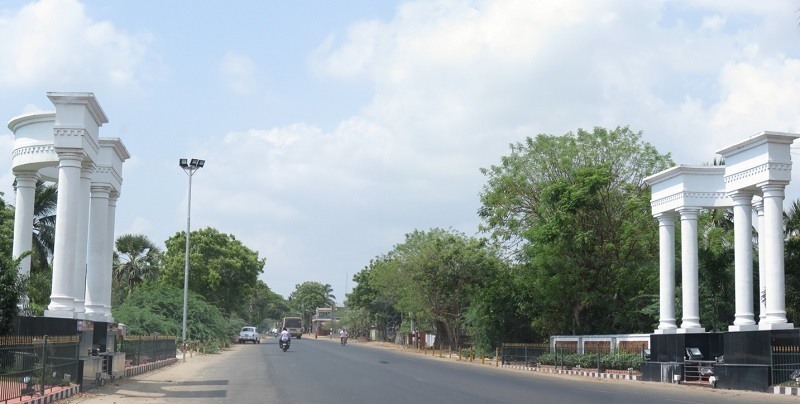 At a distance of 40 Kms from Chidambaram, 40 km from Karaikal, 90 Kms from Thanjavur & 257 Kms from Chennai, Poompuhar was once the biggest port on the east coast of Tamil Nadu, and was as its peak of glory under the earlier Chola kings. The River Kaveri is merging with the sea here. It was known as puhar due to the exquisite beauty of the port town, and it later came to be called Poompuhar. Silappathikaram and Manimekalai, the tamil epics, bring out the greatness of the city in some of the poems in Sangam literature. Danish Fort that was built as early as 1620 A.D is the masterpiece of the Danish architecture in India. The fort is in perfect condition till now and most of the decorations and carvings are still prominent. 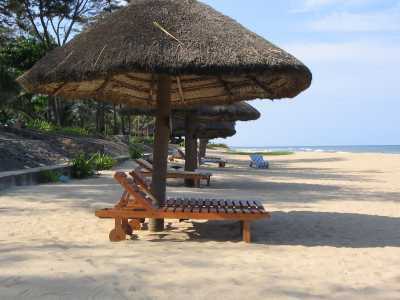 A fine beach and calm waters offer good opportunity for sunbathing and swimming. At a distance of 9 km from Bapatla, 28 km from Vodarevu Beach, 92 km from Vijayawada and 61 km from Guntur, Suryalanka Beach is situated in Guntur District of Andhra Pradesh. 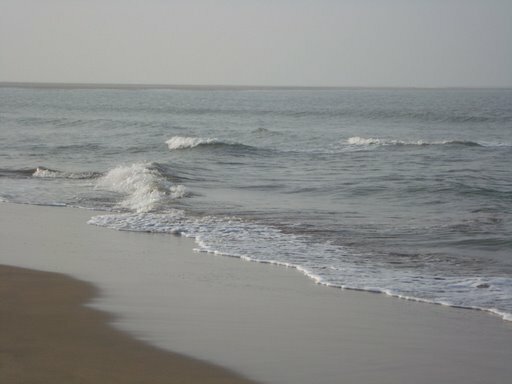 Also known as Bapatla Beach, it draws a large number of visitors on weekends and holidays. 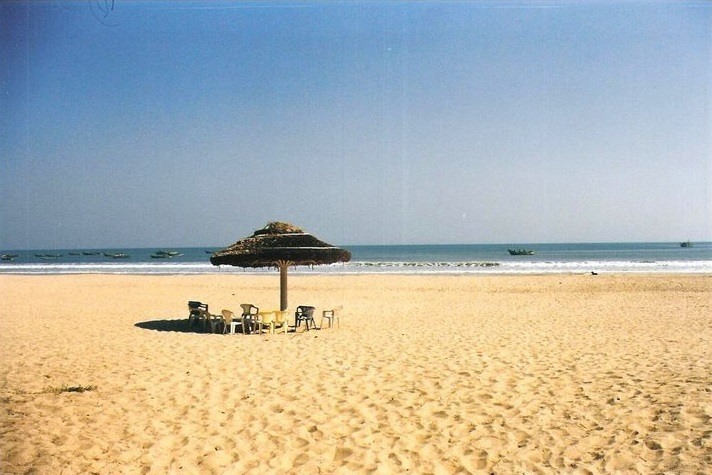 Suryalanka Beach is the perfect weekend getaway beach to spend time with friends and families. The natural beauty of the beach is major draw for people, who are looking to refresh and rejuvenate themselves. The shore of the beach is wide and spacious. 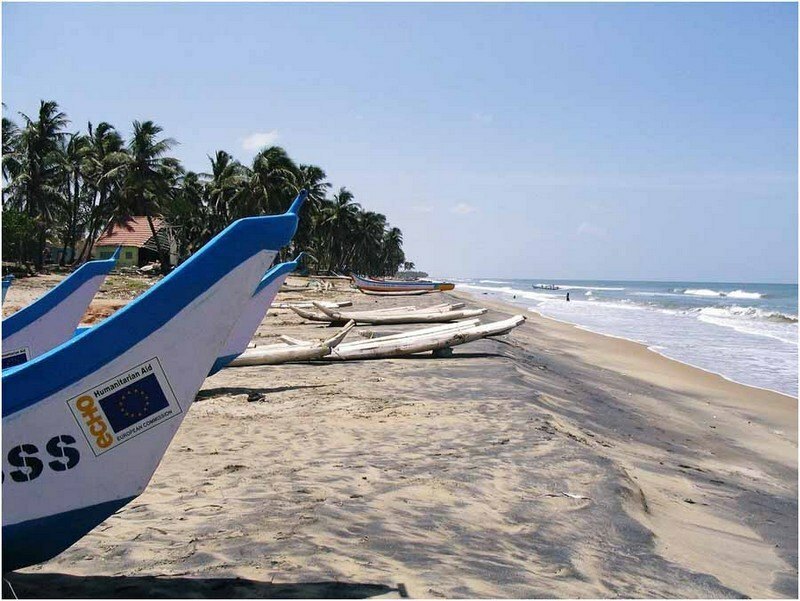 The Suryalanka Beach overlooks the crystal blue waters of the Bay of Bengal. This beach is quite safe for swimming and sunbathing is another popular activity. Sunrise is very beautiful at this beach. The major tourist attraction of the beach is the sightseeing for dolphins in the month of November. 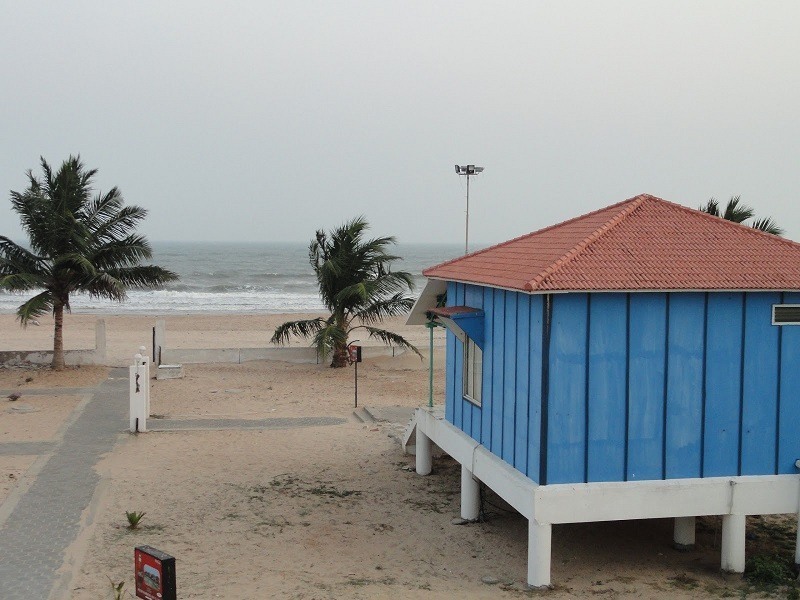 At a distance of 8 km from Chirala, 28 km from Suryalanka Beach, 103 km from Vijayawada and 72 km from Guntur, Vodarevu Beach is located on the coastline of Bay of Bengal. It is situated 6 km from the Ramapuram Beach in Prakasam district. Vodarevu beach is popular and one of the most visited beach around Vijayawada. This Beach is a beautiful beach with a constant inflow of tourists spending their weekends in serene settings. The tranquil setting of the beach can make visitors forget time and the beautiful sunsets and sunrises just add to the overall charm and attraction of the beach. The Vodarevu Beach provides adventure in the form of exciting water-sports, swimming and fishing. Local boats are available which facilitate boating in the sea. There is also a light house nearby which can be visited. At a distance of 83 Kms from Vijayawada, 11 Kms from Machilipatnam & 351 Kms from Hyderabad, the Manginapudi Beach is scenic beach on Bay of Bengal. A unique feature of this beach is that it has black soil instead of the sand like other beaches. On the occasion of Magha Poornima lakhs of pilgrims gather here to take a holy dip in the sea. An old light house is one of the added attractions. A number of beach resorts are coming up to cater to the tourist crowd. 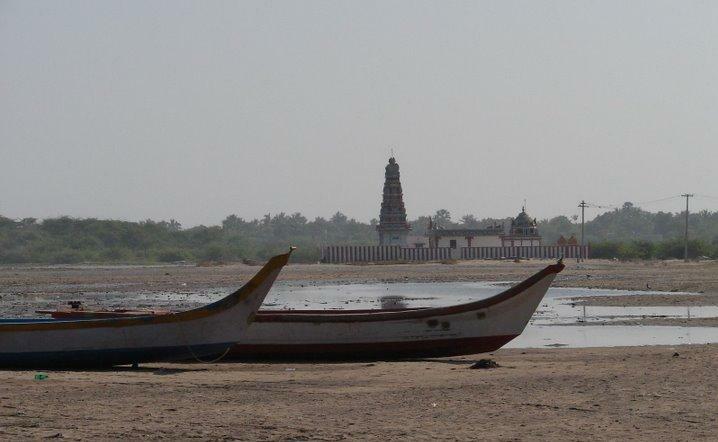 On the banks of the sea coast, Dattashram is an ancient pilgrimage site comprising a temple of Lord Shiva. Owing to the sanctification of 9 wells of bath, like Rameswaram, Manginapudi is also known as Datta Rameswaram. Several buses are available to Manginapudi from Vijayawada and Machilipatnam. 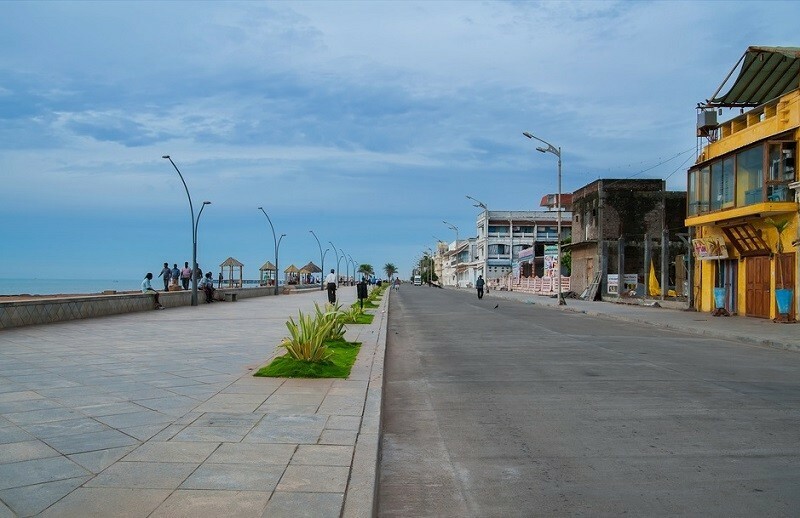 At a distance of 20 km from Karaikal, 85 Kms from Thanjavur & 298 Kms from Chennai, Nagapattinam is a coastal town on Bay of Bengal and is a district headquarters. This place is also famous for its temples. There are few famous temples in Nagapattinam - The Shri Kayahorana Swami Neelayathatchi Amman Temple, Sowriraja Perumal Temple, and Nellukkadai Mariamman Temple. The long and clear beaches of Nagapattinam attract large crowds on evenings. 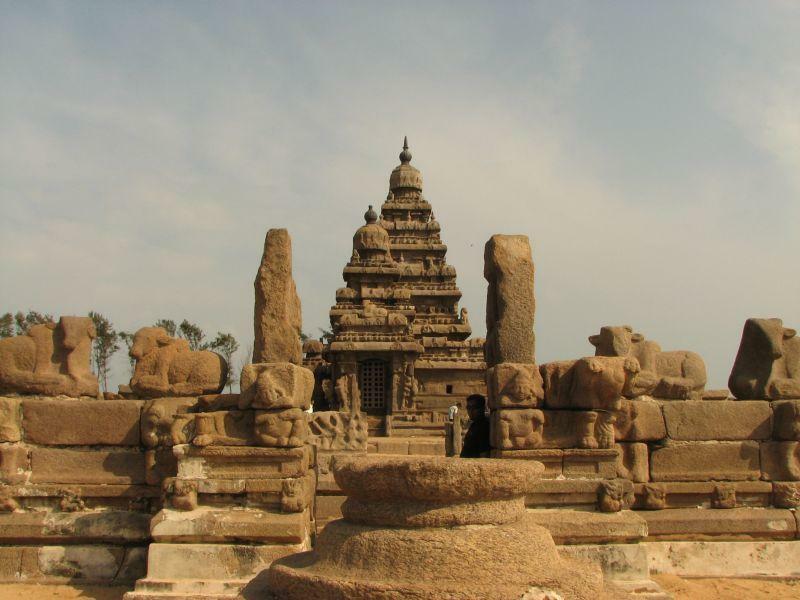 This favourite town of Chola Kings was also celebrated later by Vijayanagara Kings. The Portuguese had a commercial contact with this town during the rule of the Thanjavur Nayak Sevvappa Nayakkar and Acchuthappa Nayakkar. There are several historical and pilgrimage places around Nagapattinam. At a distance of 70 Kms from Vijayawada & 340 Kms from Hyderabad, Machilipatnam is a port town and the headquarters of the Krishna District. It is renowned for its cotton textiles, especially the finely woven muslins and brightly coloured prints. Products include Hand printed silk and cotton saris, upholstery, sling bags and dresses. This was once the principal port town in the Krishna Delta, but now little can be seen of this port town's mercantile past. There are Dutch tombs with carved instructions and coats of arms bearing dates from 1649 to 1725, a reminder of the colonial history of Machilipatnam. Regular RTC buses are operated to Machilipatnam from Vijayawada Central Bus Station. 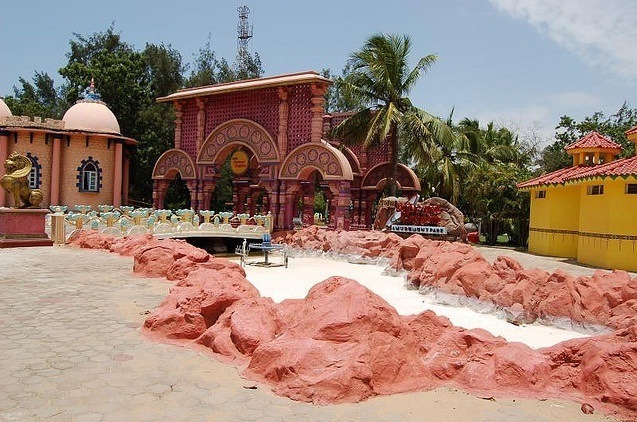 At a distance of 13 kms from Mahabalipuram (towards South) and 68 Kms from Chennai, Sadras is an outstanding beach resort that takes advantage of the beautiful landscape. This is one of the popular tourist places to visit around Chennai. The beaches that surround Mahabalipuram are encompassed by beautiful, green casuarinas groves. The contrast of the vibrant green with the sparkling white beaches is breathtaking, and a sight that numerous tourists want to experience. There is an old ruined Dutch Fort and a Dutch cemetery with finely carved headstones at Sadras as well.